US stocks are poised for their worst week since December on trade worries and global growth concerns. Yesterday’s news that the President Trump is highly unlikely to meet President Xi before the March 1st deadline intensified trade worries. While expectations remain that we will not see Trump raise the tariffs from the current 10% level, concerns are growing that there will be a lot more hurdles before we can see a framework of a deal agreed upon. Overnight, CNBC reported President Trump is expected to ban Chinese telecommunication equipment from US networks, in a move that will keep pressure on China to make concessions in the trade front, this was speculated over a month ago. Treasury moves are still leading the way for both equities and the US dollar. Treasuries advanced as risk aversion remained the dominant theme for the end of the week, with the greenback gaining on safe-haven flows. The Japanese yen also benefited with the flight to safety move and is trading strong against the high-beta currencies. 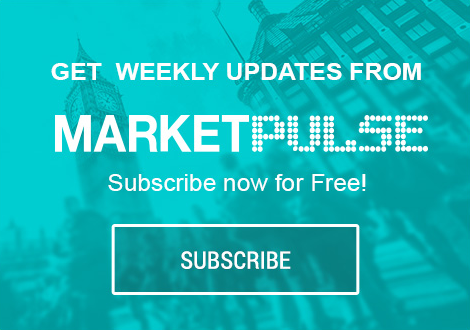 The week ahead will remain focused on trade talks, Brexit, corporate earnings, and US inflation data. European bourses traded modestly lower as lower as DAX lead the move lower after Wirecard shares fell to the lowest level since April after Singapore police probed their offices. Wirecard shares initially traded higher after they announced they will sue the Financial Times for “unethical reporting” on three articles that alleged fraud and misconduct on Wirecard’s accounting practices. Crude prices are losing their bullish momentum as Europe appears more fragile than anticipated and trade doubts could signal a longer delay before we see a framework agreement reached between U.S. and China. The biggest weekly loss in oil prices since December see further momentum if we continue to risk-off flows support the greenback. Oil remains vulnerable here as the OPEC + production cuts may have done all they can do to stabilize the markets and oversupply concerns will return in the warmer months. Bitcoin’s dead-cat bounce of 1% could be short-lived as the volatility drop could signal next major selloff is just around the corner. The key range for Bitcoin now appears to be $2,000 to $4,000, with cryptocurrencies appearing to be vulnerable to the downside.